Do you want to start a limited company in Hong Kong, but not sure about the incorporation documents and other requirements? Or perhaps, you have a little bit of idea about the documents, but still, you want to grasp more knowledge so that you can do everything without any hassle. If your answer is yes, then this article will enlighten you with all the necessary information that you need to have while launching a business in the most free economy of the world- Hong Kong. As a matter of fact, you need to prepare some documents in order to incorporate your business in Hong Kong. The first and foremost documents are the Articles of Association (AA) and Incorporation Form (NNC1) that needed to be submitted to Companies Registry for company formation. Thus, you need to take the help of a professional firm. And here comes the role of Startupr, we will help you in preparing these documents by your provided information and due diligence documents. Afterward, Certificate of Incorporation (CI) and Business Registration Certificate (BRC) will be issued after the approval of your company formation application. You can start your business in Hong Kong after received these certificates.So, you are all required to complete Startupr Online Order form in order to proceed the incorporation and registration process. Having stated that all these documents are pertinent for your incorporation process in Hong Kong. If you somehow misplaced it or filed it wrong, please look for professional provider – Startupr to assist you further. That’s why it is better to engage the services of a professional TCSP Licensee who are well versed with the local legislation governing companies. More importantly, which are also experienced in handling ongoing regulatory and compliance requirements. 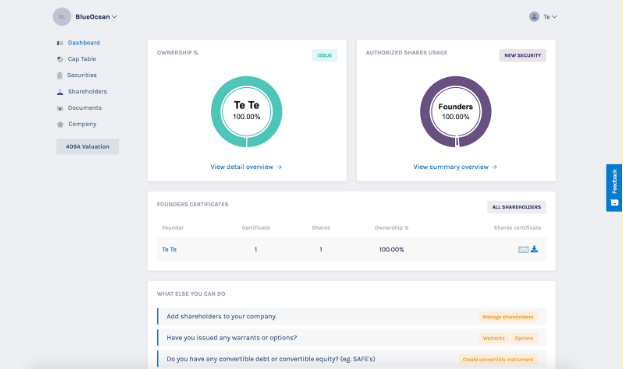 And this is where Startupr ( TCSP license number TC003638 ) comes in and assists you, with all the steps where you can easily set up a company in Hong Kong. So, let’s have a look at all the important documents before filing for incorporation in Hong Kong. The first and foremost document that is issued by the Hong Kong government is the article of association. Under the Companies Ordinance (Cap. 622) (“the CO”), all the business owners are required to apply for these fundamental constitutional documents. If you are setting up your limited company in Hong Kong for the first time, then you must be thinking, ‘why this is so important for the organizations? Well, it is an article that comprises all the objects clause of the company. To be more precise, the statements on the purpose of your company, the scope of your business activities. In fact, there are some other clauses that the article of association needs to have for your organization in order to set up in Hong Kong. What mandatory articles are required to be included in the Articles of Association of companies? the articles of a company with a share capital must state the capital and initial shareholdings. the articles of an association to be incorporated with a licence granted under section 103, or of a company with such a licence must state the company’s objects while the licence remains in force. the articles of a company limited by guarantee must state that every member of the company undertakes the responsibility to contribute an amount required, not exceeding a specified amount, to the company’s assets, if the company is failing. If you are thinking of launching a limited company by shares in Hong Kong, then you need to file for this form. More importantly, this form must be accompanied with the Company’s Articles of Association. We know you must be thinking, ‘what kind of information and documents you need to incorporate in this form?’ Well, in this form, you need to specify the information about your company’s registered address- ‘where it is located?’ Moreover, the information about your company secretary, directors’ particulars and information of founder members (shareholders). Besides, the company structure and authorized share capital are also illustrated in this form. The next form that you need to have for the incorporation or registration of your business in Hong Kong is the certificate of incorporation (CI). Well, it a certificate which is issued by the Hong Kong Companies Registry upon approving for the establishment of a limited liability company. Let us explain to you about the form so that you will not get confused with others form. Well, this certificate is issued by Companies Registry and signed by the Registrar of Companies which is an official document that is written in both English and Traditional Chinese characters. On the other hand, if you want to change the name of your company, then you need to apply for Certificate of Change of Name”, and the “Certificate of Continuing Registration” only upon request on Good standing, usually issued after one year. Startupr can assist you if you have such request. What Information is Contained in a Certificate of Incorporation? Under the business registration service, any person who submits an application form for the incorporation form of a local company (Form NNC1 or NNC1G) at the Companies Registry (“the Registry”) will be deemed to have made a business registration application at the same time. 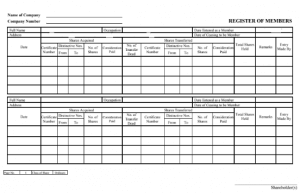 Let’s understand the criteria of this form before you apply for it for the registration of your Hong Kong limited company. Well, this is a document which states the particulars of your organization. In fact, it is a requirement for conducting business for a Hong Kong company. Without this document, you can’t be able to operate your business legally. This document reveals that your company is valid and registered within the Inland Revenue Department. But one thing that you need to take care of is that this certificate is normally valid for one year. After the completion of one year, you need to renew it each year for the company regardless business commencement. 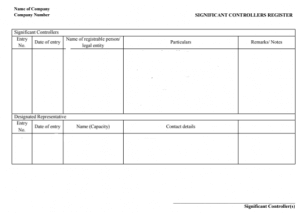 What are the documents required for the BRC form? Disclaimer- BRC renewal demand note will be issued about 1 month before the anniversary date. Therefore, all the company managers are required to pay and renew the BRC in a timely fashion on or before the anniversary date. Otherwise, there may be additional fines for the late renewals of BRC. So, now that you have a better idea about the documents which will be issued by the Government for the incorporation of your limited company in Hong Kong. But the game is not over here; you also need to prepare some documents for your limited company so that you can operate it well. And as per stated earlier, as soon as your company starts making operations in the market, make sure that you are filing the notification of commencement of business to IRD within one month of the date of business commencement. As a matter of fact, business commencement does not mean that your company has incoming transactions. As soon as you start purchasing any office equipment such as stationary, tables, or computers and much more, setting up a company website or printing name cards, and providing consultation to your potential clients (by emails or phones), your business can be deemed as operating. Only after filing the Notification of Commencement of Business, the nature of your business will be updated. So, in order to complete everything on time, you need to hire professionals for the completion of your filings. But you don’t need to worry for finding the best professional in Hong Kong, because Startupr is here for you. Here are some documents that Startupr will assist in completing and submitting it for your Hong Kong limited company. It may also cause government penalties which need to be paid. More importantly, it is vital as per the Companies Ordinance in Hong Kong that every limited company has to have a company secretary. We are pretty much sure that you must be thinking like if appointing the company secretary is a tribunal for limited liability company, then they must have assigned some roles and responsibilities for them. I know this is such an apparent question from your side. However, this is not like that. Company Secretary in this regards refers to a corporate secretary, and not a clerical or personal secretarial assistant for the company. It is a professional agency responsible for the compliance and statutory requirement of the company. Company Secretary will be able to represent the company for government filings and requirements in the compliance for good standing of the company. Startupr will help you in taking the exhilarating steps towards the growth of your business by preparing all the following documents. The minutes of the first meeting will be prepared by Startupr as a post incorporation document. As a matter of fact, this document is the instant written records of your first board meeting. And if you are not paying equal attention to this record, then I must say you don’t want to take the exhilarating steps towards the success of your business. Well, the reason behind it is that this document typically evaluates the events of the meeting and may include a list of the statement of the issues considered by the participants, attendees, and related responses or decisions for the company. 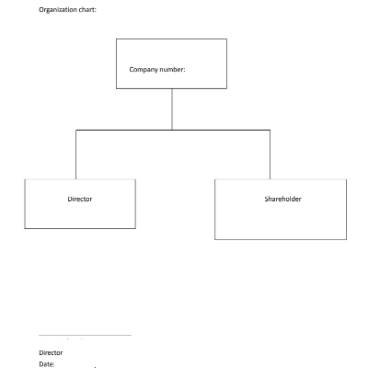 The second document that will be prepared by Startupr after setting up your company is the organization chart. Do you know about this document? I bet you must have an idea about this. It is a visual aid which is used to clarify the structure of an organization and the relationships of the positions. Let me explain to you in a more better way. Organization Chart is a diagram which clarifies the government record of the company structure, includes director and shareholder. As a matter of fact, in order to run your business in Hong Kong, according to section 474(1) of the Companies Ordinance (Cap 622) (CO), every company must have a company secretary. If you don’t hire any individual or corporate body as a company secretary for your Hong Kong company, then there are maximum chances that you will have to face unnecessary strain and delays for the operations of your business. Register of Company Secretaries includes the history of company secretaries were appointed since the date of incorporation, also the information of each company secretary. There is no denying the fact that the company needs to have at least one natural person director. Under section 158 of the companies ordinance, it will be illegal not to maintain a director for your company. So, if you don’t want to stay away from all the legal system problems, then you need to maintain a proper register of directors with relevant details or particulars clearly register therein since the date of incorporation. Furthermore, the “Register of Member”, “Register of Company Secretaries”, “Register of Directors“and” Register of Significant Controllers” should be kept at the registered office of the company and is available for inspection by law enforcement officers. The next form that Startupr will help you in completing for the registration of your business is Register of members. Well, this document can be maintained in the form of either English or Chinese version. 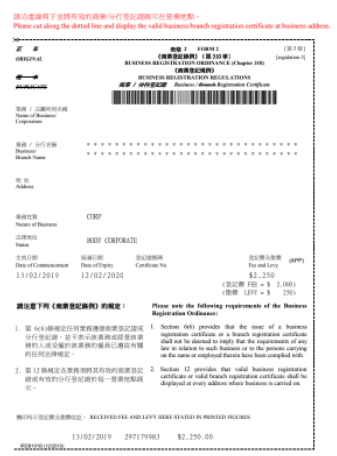 All the business managers need to keep this form at the Registered address of the company in Hong Kong. If you are not able to do this, then the company has to file Form NR2 notifying the Companies Registry. 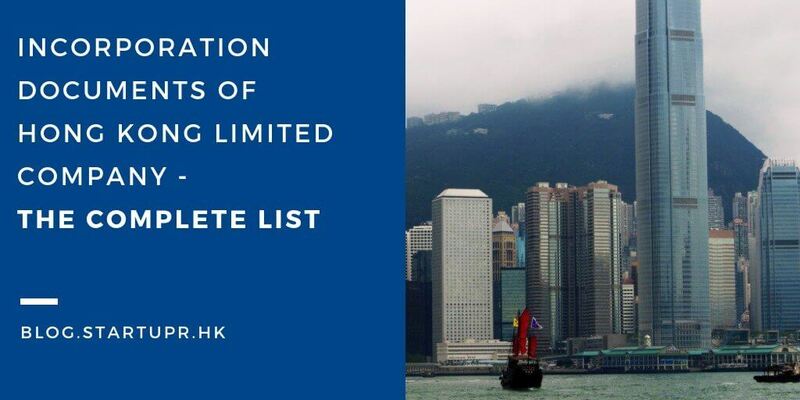 That you want to have “Register of Member”, “Register of Company Secretaries”, “Register of Directors“and” Register of Significant Controllers” in other address in Hong Kong. For keeping and tracking the records of your company members you can use our sophisticated Equity management software “Eqvista”. With this you would be able to issue your company shares electronically and creating electronic certificates as well. And, the best part of this platform is you can share these details with many people at the same time and also helps you to manage all your shareholder details easily. The entire platform is Free to use. Register to begin using the Eqvista platform. The Companies Ordinance issued a new regime requiring Hong Kong companies to obtain and maintain up-to-date beneficial ownership information through keeping Register of Significant Controllers since 1st March 2018 in order to enhance the transparency of beneficial ownership to fulfill Hong Kong’s international obligations. Law enforcement officers will have access to the Register of Significant Controllers. So, who can be a Significant Controller? a registrable legal entity, e.g. a company, which is a shareholder of the company that has significant control over the company. a registrable person who is a natural person that has significant control over the company. However, there are some requirements or laws for a person or a corporate body who have significant control over a company in which one or more conditions are needed to meet. Let’s look at those five conditions. The person possesses, directly or indirectly, more than 25% of the voting rights of the company. The person has the right to exercise, or actually exercises, significant influence or control over the company. It is a legal document that can be used as a proof of ownership of a specific number of shares in a corporation. 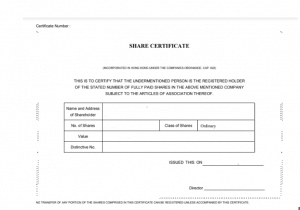 What information must be included on the share certificate as at the date of issue? Well, there is a plethora of information that you need to incorporate in order to apply for the share certificate. Also, you need to keep this thing in your mind, that some company has various classes of shares. So, if you are the one who has different classes of shares of capital, then you need to prepare all the statement of capitals on the share certificate stating the types of classes. If the company have non-voting rights, the non-voting rights must be specified. 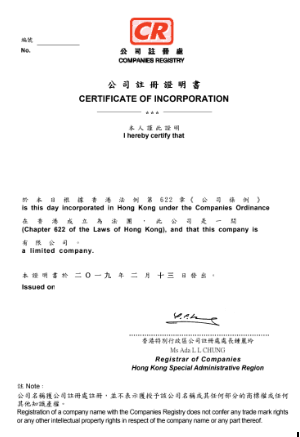 So, now that you have a better idea about the incorporation documents of Hong Kong Limited Company and how professional Startupr can help you in preparing that. However, you can also not deny the fact that if you can’t give us a chance, then how we can help you in putting your business off the ground. Let us help you in dealing with all the problems. Startupr is one-stop service provider for company formation and company services in Hong Kong. We offer an array of services to fit your business needs, and provide a convenient way of starting a business in Hong Kong and managing it online for new entrepreneurs. Moreover, we commit to reduce the uncertainties and answer the doubts of our clients when encountering related regulations. Our motto is to provide information about the latest regulations and analyze the impacts facing the company. And our unique same day system is the turning point for all business owners. We check all the information of our clients on the same day as they enter it in the form. Our system automatically conveys your data to the Companies Registry forms, and then we submit them directly to the relevant government portal. Let us handle all the incorporation documents of you!